The Canadian broadcast of the Screen Actors Guild Awards was a mess. 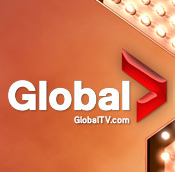 Global TV was network that was airing the broadcast and it was not pretty. Every person who went to tune into the show during its live presentation was met by From the Ground Up with Debbie Travis. It happens, and we sat and waited for Global to fix their mistake. Five minutes passed and twitter started to report the first round of winners. America was clearly not having this problem. Seven minutes pass and the annoyed Canadians took to Twitter. Global hadn't addressed the issue and Canadians were left thinking someone had fallen asleep at the switch board. What was going on? Ten minutes passed and Global started to play back to back Grammy promo spots. I don't know if they were trying to taunt the entire awards watching population, but screwing up one broadcast and letting everyone know there is a chance they would do it for a second was not their best idea. Seventeen minutes later Global finally took to Twitter to announce that there was some technical difficulties. Really, we hadn't noticed. In the world of instant communication, seventeen minutes is an eternity to wait to find out what is going on. A couple minutes after that the TV went black....Debbie Travis had vanished and we were all beginning to think that when the screen came back to life we would finally get the SAG Awards. No such luck. Global pulled From the Ground Up and replaced it with American Dad. 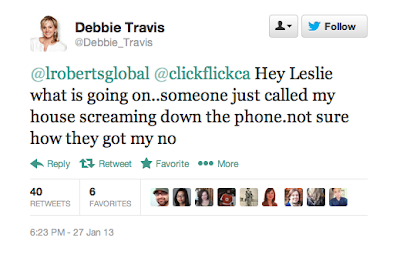 Rumour is that Debbie Travis asked Global to stop airing her show...it may have had something to do with a stranger calling her house and yelling at her family for the situation. She tweeted at Leslie Roberts, an anchor at Global Toronto asking what was going on. Creepy. One more tweet from Global about trying to fix the error and we were left watching our twitter feeds for SAG updates. 40 minutes later the broadcast finally came on. Not impressed. I wouldn't be the only one to say that by the time the SAG Awards were on my TV I wasn't even interested anymore. I half paid attention as the usual suspects went up to get their awards. Then it came time for Cast in a Motion Picture. Lincoln seemed like a shoo-in after winning in the Supporting and Lead Actor categories, but I was floored when Argo took home the prize. We all know I am a huge supporter of the flick, but it is starting to feel like everyone is trying to make up for the Ben Affleck Oscar snub. I hate that I think this. Hate. But it's starting to feel true.